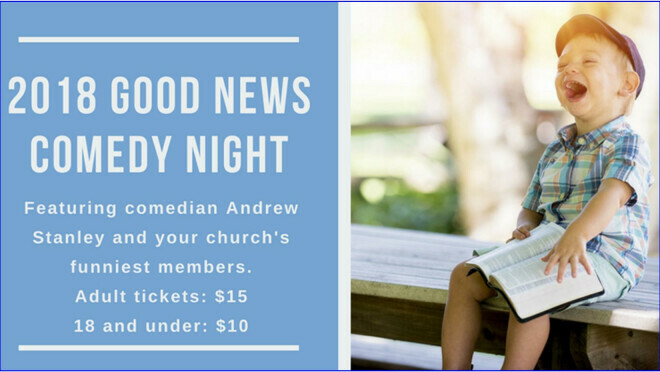 Child Evangelism Fellowship of Central Alabama will be having its Good News Comedy Night on Thursday, October 4, at 7:30 p.m. at Frazer United Methodist Church in Montgomery. Food trucks will be available at 6:00 and preliminary competition to identify the "funniest church" will begin at 6:30. The featured comedian will be Andrew Stanley. Tickets may be purchased online or at the door.